Our first Repair Fair – Busy and Fun! 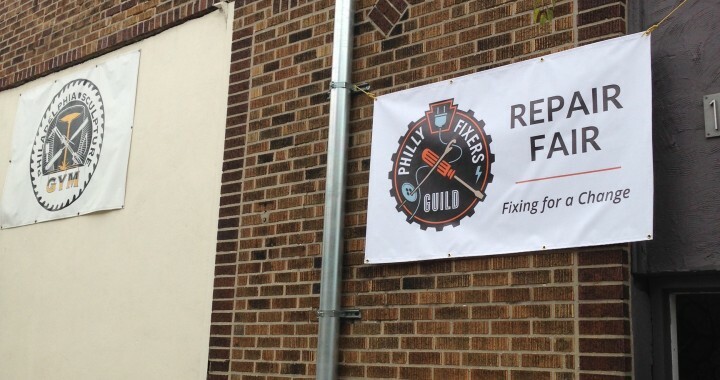 This past Saturday, we held our first Philly Fixers Guild – Repair Fair at the Sculpture Gym in Fishtown/Kensington. After all the planning and probably an inappropriate amount of hand-wringing, it all went down really well! Our inaugural group of volunteer Fixers were absolutely amazing! By the end, a total of 13 Fixers had made it to the Fair and from what I could tell, everyone had an amazing time. The feel of the event was definitely one of hard work, fun and collaboration. Most of our guests were really excited to leave with their favorite antique, flea market find, or piece of clothing fixed and good-as-new. 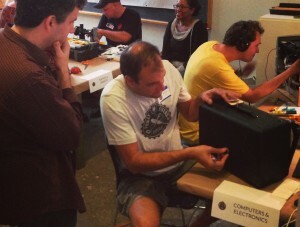 Most of the Fixers wanted to know when the next event would be so they could volunteer again! Our intention, and it worked out well in most cases, was to involve the guests in the Fixers’ repair efforts. 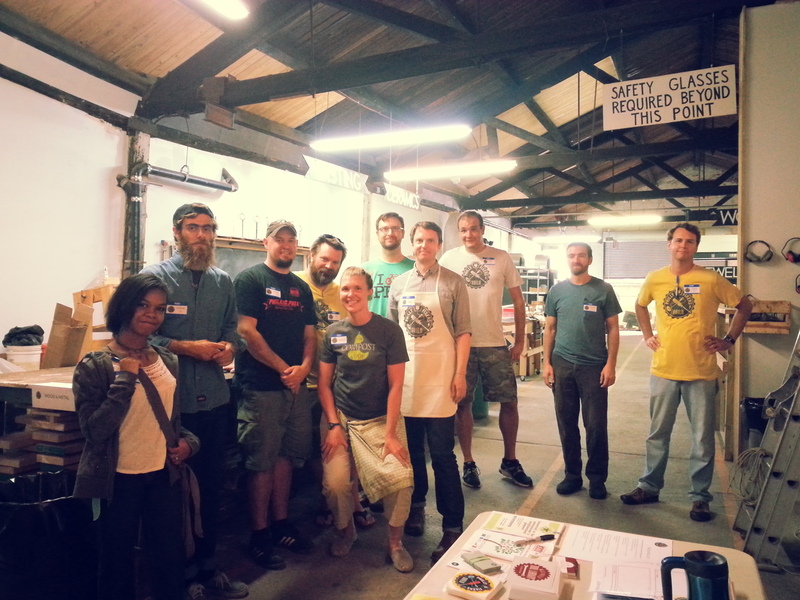 A good number of our guests left with dirty hands and a more in-depth understanding of their (formerly) broken item. Holly and I were extremely proud of all the talented Fixers that came to the fair. Each brought a unique skill-set that led to most of our guest’s items being fixed and the vast majority at no cost, on the spot! Many thanks go to Darla Jackson, Founder and Owner of the Sculpture Gym as well as our partner, Sustainable 19125/19134, for providing logistical support and helping spread the word. 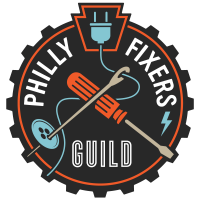 But most of all, thanks to all the Fixers who volunteered most of their Saturday to help us and our community! Please check here and our Twitter, Facebook and Instagram feeds (below) for information on our next Repair Fair! Thanks for the interest in our Guild! I’ll email you personally with the details. Need help fixing something or want advice? 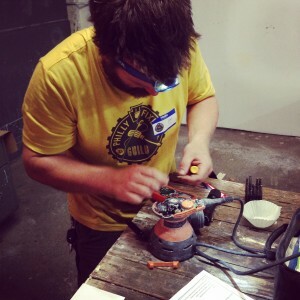 Fixer or general helper, all are welcome!